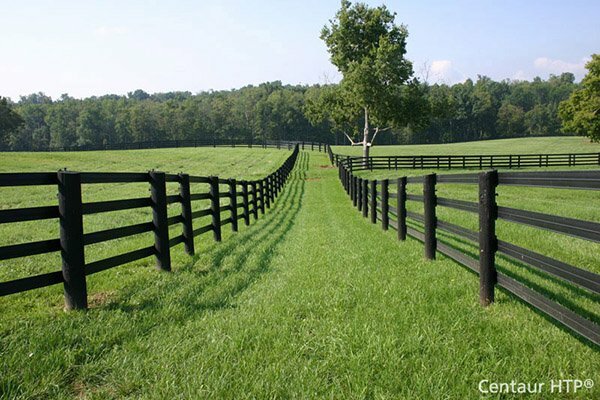 Bufftech Manchester Vinyl Posts - Recessed | Hoover Fence Co. These posts have prerouted holes to accept Manchester Fence Sections. 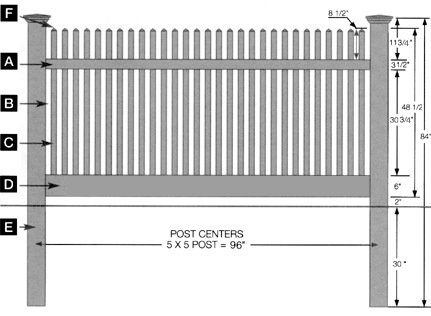 Picket Spacing (B): 30 spaces of 1 9/16"
Bottom Rail (D): 2" x 6" x 94-1/2" Routed to accept pickets. 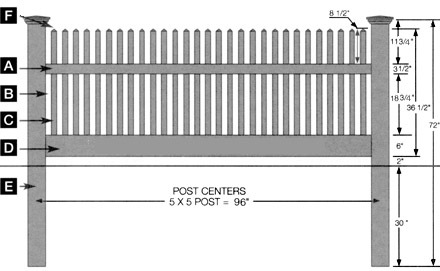 Post (in-ground) (E): 5" x 5" x 72"
Post (in-ground) (E): 5" x 5" x 84"